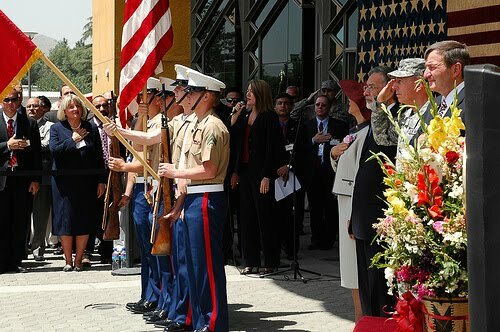 New ISAF and US Forces Afghanistan Commander, General David Petraeus and Ambassador Karl Eikenberry at the 4th of July celebration at the US Embassy in Kabul. El 2 de julio la comunidad y los amigos de la Embajada de EE.UU. se reunieron para celebrar el nacimiento de nuestra grande nación. También recordamos con orgullo la legendaria Operación Jaque. Algunos de los liberados ese día nos acompañaron este día. 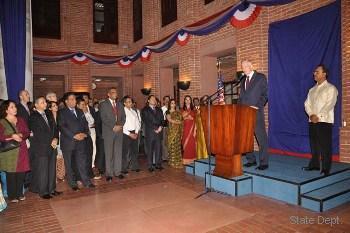 Ambassador Bill Brownfield with guests. 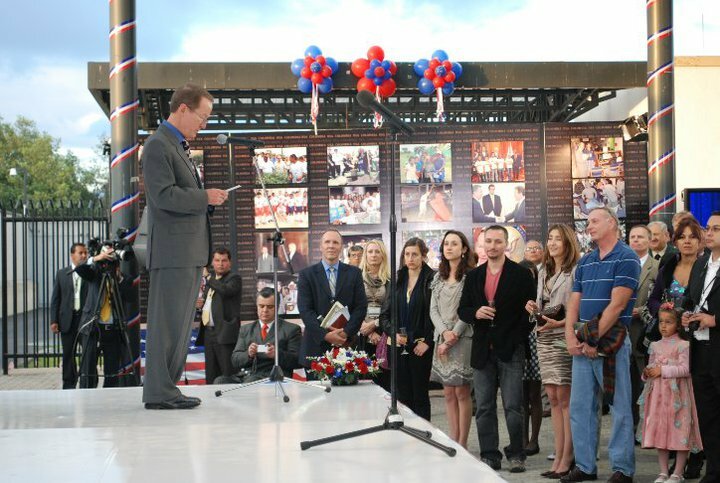 Ambassador Speckhard hosted over 2,000 people at his residence on July 1 in honor of U.S. Independence Day. 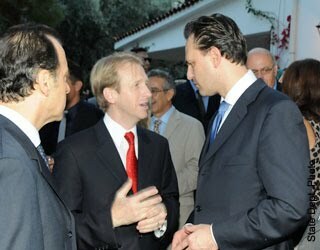 Guests included politicians from government and the opposition, many top Greek business and community leaders and other diplomats. Graced by Finnish soprano singer Anna-Kristiina Kaappola‘s renditions of the American and Finnish national anthems, this year’s Embassy celebration of Independence Day on June 23 was the first hosted by Ambassador and Ms. Oreck. 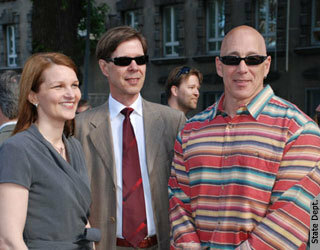 They greeted the hundreds of guests, including the new Prime Minister, Mari Kiviniemi. 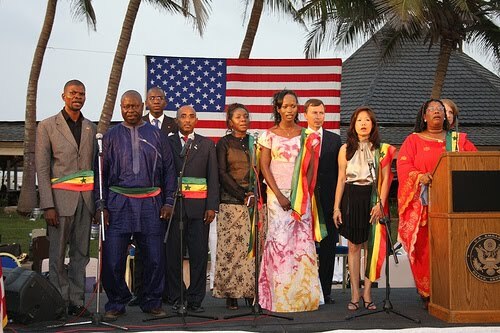 July 4th celebrationn at the US Embassy in Dakar, Senegal. More photos from Flickr here. 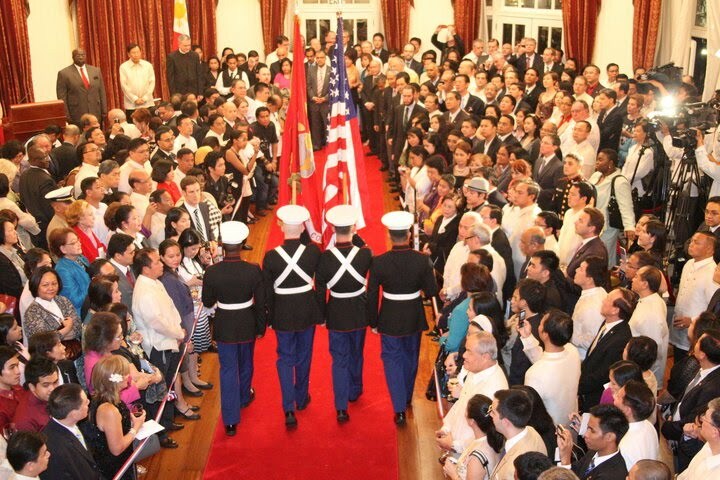 The US Embassy Manila celebrating this year’s Independence Day and the Philippine-American Friendship Day. More photos from Flickr here. 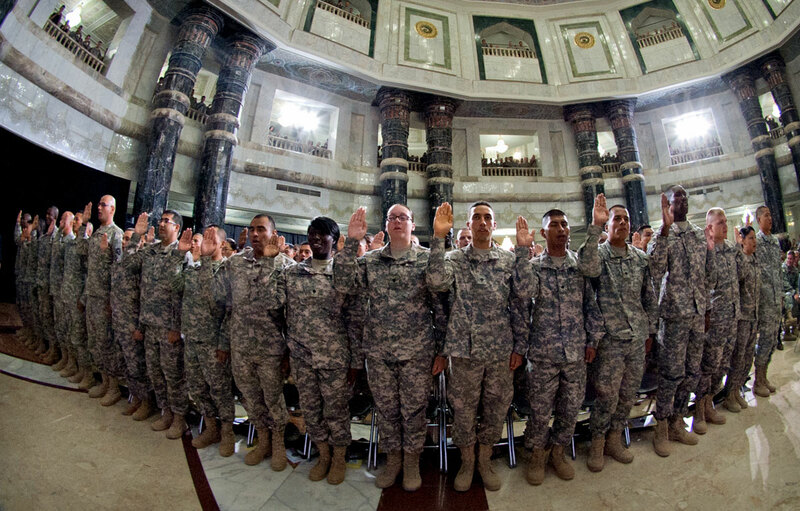 United States Forces-Iraq service members raise their right hands and take the oath of citizenship during a naturalization ceremony July 4 in Al Faw Palace at Camp Victory, Iraq. 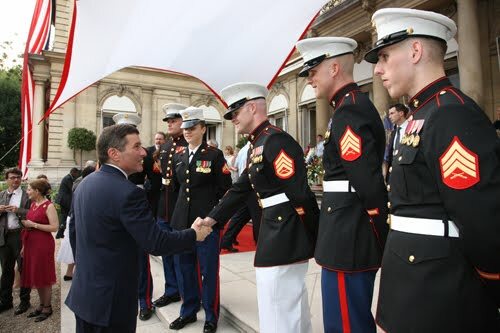 During the event, 156 service members from 56 countries became U.S. citizens. The event was attended by Vice President Joseph R. Biden Jr. and his wife, Dr. Jill Biden. More photos here.